Applied Global Technologies (AGT), a full-service audio visual integrator that designs, installs and manages collaboration environments, today announced that five staff engineers across its audiovisual, sales, and client care teams have achieved InfoComm CTS or CTS-I status. The company adds the distinctions to its portfolio of certifications, including Crestron Diamond Level Master Programmer and AMX Solutions Master statuses. AGT completed CTS training and testing with Max Kopsho, a senior university faculty member for InfoComm University and independent AV/IT training expert with more than 28 years of experience in the AV and collaboration industry. For more than 30 years, InfoComm has administered the Certified Technology Specialist (CTS) program, which is recognized worldwide as the leading AV professional credential. InfoComm offers three types of certifications, including the general CTS, an AV systems design specialization (CTS-D), and an AV systems installation specialization (CTS-I). 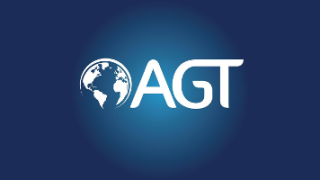 With the latest CTS and CTS-I certifications, AGT’s team of audio visual professionals have all three distinctions.